Simplify your chemical compliance tracking and voluntary reporting all in one place. Assess your products against regulations and voluntary lists. Screen your entire product library against chemicals of concern and find the worst players in your products. Report to share and communicate what you find. When you first import a new product using our simple import process, Toxnot immediately screens it against the regulatory and voluntary substance lists we track. Don't have a bill of materials easily accessible? View the data about your sample product! Let's begin by viewing the product's bill of material (BOM). Toxnot flags any chemical of potential concern. Click on the flags to see more details about the regulation and chemical. You can also add your own flag that will trigger for lists that you select by using the custom flag column. You can also send those list flags to suppliers as well when you send them a survey. This allows your suppliers to know what you’re screening against. Additionally, with a Pro or Team account, you can use the Toxnot portfolio view to analyze your chemical compliance across all your products. 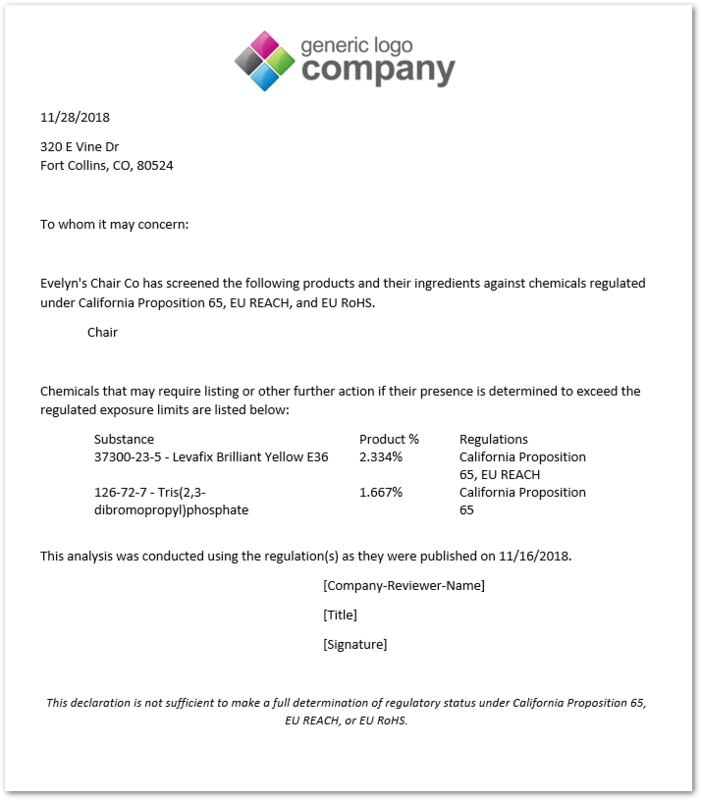 For example, you can create views of compliant or non-compliant products, either based on their chemical content or supplier responses in surveys. These materials can then be subject to an additional supplier survey campaign within Toxnot or further outreach and investigation from your supply development team. For example, you can create a list of products that contain chemicals on the California Proposition 65 list. Make lists of chemicals or materials according to your internal goals, such as creating a material 'red list' to share with R&D teams. Then, determine which products those materials are used in, and create the proper warnings or notifications. This can also be used to create a list of materials that are safer alternatives. Dashboard views are also exportable, so you can export this data into excel or an internal system for further analysis. Finally, you will want to share what you've found internally, or with customers when they have requested the data. Use our exportable Regulatory Screening Report to share what you've learned. 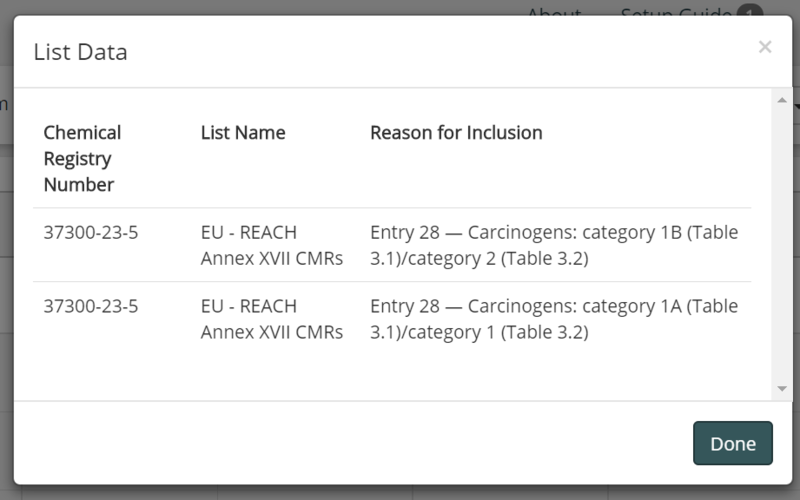 Toxnot offers a Regulatory Screening Report template (for Basic, Pro and Team users) built on your product information which you can customize, edit, and export. If you'd like to see how this could apply to your company and process, use the button below to schedule a quick meeting with us and learn more.